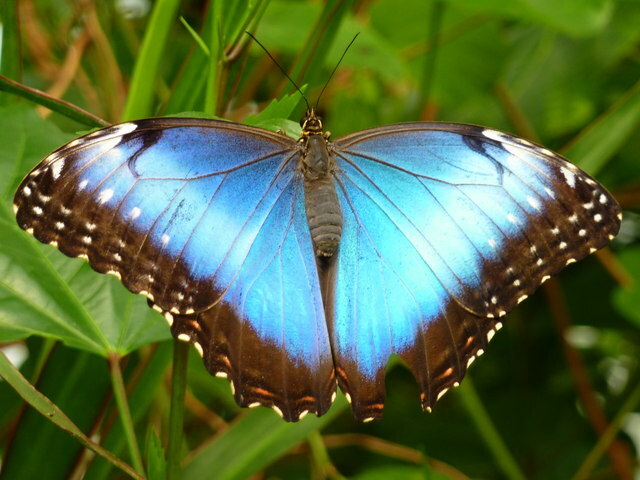 Among the myriad flying beauties is this stunning Blue Morpho, Morpho peleides. It is a native of the Latin American rainforests and its wingspan can reach up to 8 inches. This page has been viewed about 367 times. In his 2004 'Travelling to Work: Diaries 1988-98' MP recounts having taken a flat at 54 Delancey Street for the second semester 1994 in which to draft his book 'Hemingway's Chair'; a pied a terre conveniently close to the above hostelry. Is the blue plaque commemorating Dylan Thomas having lived in the building still displayed on the outside of 54 Delancey Street I wonder? A photo on GEOGRAPH to prove the point would not be amiss. As far as I can establish both #54 and 'The Edinboro Castle' are in the same centisquare.